Even in the years immediately after the war, before the Communist take-over, the Communists held a strong position in Czechoslovak Radio. During the February 1948 political crisis, which was instigated by the Communist Party, the station sided openly with the Communists and as a powerful communication tool undoubtedly helped the party to power. The then Minister of Information, Václav Kopecký, publicly thanked Czechoslovak Radio for its assistance. In April 1948 Czechoslovak Radio was nationalised, and from that point on its organisation and output was dictated by the Communist Party. In the summer of 1948, the international service was merged with the political news section, to ensure political consistency in domestic and foreign broadcasts. Radio Prague began preparing different programmes for "friendly" countries, i.e. countries which had also "embarked on the road to socialism", and "hostile" or capitalist countries. The main aim of the broadcasts to capitalist countries was to "paralyse the slander about socialist Czechoslovakia and win over listeners to the idea of socialism." The aim of broadcasts to the Soviet bloc was to "strengthen the friendly ties between socialist countries and consolidate the relationship with the Soviet Union." In 1952 Czechoslovak Radio was reorganised along Soviet lines. The international service became an independent whole within Czechoslovak Radio, with a director at its head. Radio Prague consisted of a Central Section, which produced the basic texts in Czech, the different language sections, and a "section for international co-operation". This section produced programmes to be "exported" abroad. These export programmes, which were broadcast by foreign radio stations, gradually replaced the broadcasts to socialist countries. The extent of Radio Prague broadcasts grew rapidly in the 1950s. New languages - Arabic and Portuguese - were introduced. In 1949 Radio Prague was broadcasting 10 hours a day; by 1954 the figure had increased to 14.5 hours, by 1960, 32 hours. In 1962 Radio Prague reached a peak, broadcasting a total of 33 hours a day. The schedule reproduce here best illustrates the breadth of languages and number of hours broadcast. In the 1950s, acting on orders from the Czechoslovak Communist Party, Czechoslovak Radio created something called "B broadcasts" in French and Italian. The Party had received requests from the Communist parties of France and Italy, which wanted to influence public opinion in their countries. 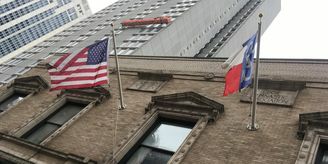 The broadcasts were conspiratorial in nature, and run by a group of Italian and French Communists stationed in Prague. The Italian programme was called "Oggi in Italia", the French broadcast was entitled "Ce soir en France". All trace of the French B broadcasts disappears in the 1960s. For reasons of secrecy the Italian B broadcasts were relocated away from the Czechoslovak Radio building, and they went off the air in 1970. Radio Prague broadcasts in French and Italian were transmitted alongside the "secret" broadcasts. More broadcasts meant more letters. In 1953 Radio Prague received 3,259 letters, in 1956 the number had risen to 16,232, in 1960, 49,353, and by the second half of the 1960s Radio Prague was receiving around 100,000 letters per year. 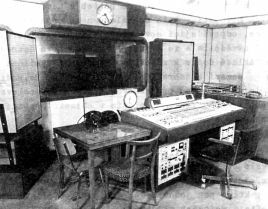 Radio Prague studio in the 1960s The expansion of broadcasts was also accompanied by modernisation of the transmitters. In 1949 a shortwave transmitter had been built in Velké Kostolany in Western Slovakia. 1955 saw the opening of a new broadcasting centre at Litomysl in Eastern Bohemia, equipped with two 100 kW shortwave transmitters and a 300 kW medium- wave transmitter. This transmitter, which worked on 1287 kHz, served the international service until 1990. In 1956 a shortwave broadcasting centre at Rimavska Sobota in Eastern Slovakia began transmitting programmes. 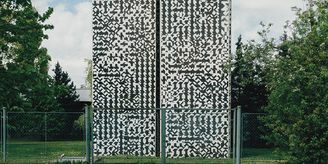 It is worth mentioning that during the modernising of the Rimavská Sobota centre in 1979-1982, the Podebrady shortwave transmitter - which witnessed the birth of Radio Prague - was once again put into service. In 1960 Czechoslovak Radio was placed under the direct control of the Communist Party Central Committee, further strengthening the influence of Communist ideology. The international service's 1962 programmes bear witness to this: a feature to mark the 20th anniversary of the annihilation of Lidice, a poll entitled "What the world would have looked like if Hitler had won", another poll called "My experience of colonialism" and a programme called "the Cuban crisis and the Soviet Union's policy of peace." The leading role of the Communist Party was confirmed by a 1964 law on Czechoslovak Radio. In the 1960s the section for international co-operation, which made the "for export" pre-recorded programmes, saw the biggest expansion. The programmes were aimed chiefly at developing countries, many of which saw struggles for national libe- ration during that decade. For example in 1967 the section produced more than 1,333 hours of "export" programme material in ten languages. Of those 1,333 hours, 997 were sent to developing countries (Africa, Asia and Latin America), 202 hours to socialist countries (the Soviet Union and Bulgaria) and 134 hours to capitalist countries (USA, Australia, Cyprus and Portugal). There was a similar political subtext behind the foundation of the Radio Prague Listeners' Clubs. These were formed in the 1960s, primarily in African, Asian and Latin American countries (the first club was established in 1960 in Cuba). Radio Prague supported the formation of the clubs, by publicising them on the air and organising competitions. In the 1960s and 70s there were some 600 such clubs active around the world. Radio Prague sent out around 200,000 packages of promotional material per year during this time. 1963 saw the foundation of the Radio Prague Monitors' Club. Its members were DX listeners who sent Radio Prague reception reports. Radio Prague had sent such listeners QSL cards since its inception, and from the late 1950s the station even broadcast special programmes for them. The purpose of the Monitors' Club was to verify the quality of reception in individual parts of the world and make the necessary technical adjustments to improve reception. To qualify for membership in the Monitors' Club, listeners had to write a certain number of reports on the quality of reception and send them to the station in Prague. Annual endorsement stickers were available to those club members who renewed their club membership each year. 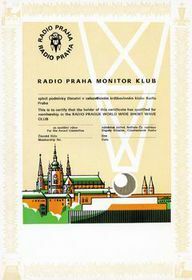 The Radio Prague Monitors' Club, which had several thousand members, was shut down in the early 1990s. The growth of broadcasts in the late 50s and 60s, when most programmes were extended from 15 to 30 and sometimes even 60 minutes, was not merely a growth in quantity: programme quality also improved. The composition of programmes was enriched: there were more and more new documentary features, listeners' letters programmes, competitions, programmes for DXers and hobbyists, musical requests, editors began to use more interview and reportage material etc. Several features of the time, for example Mailbag (produced by the English section) and Courrier des auditeurs (from the French broadcasts) survive to this day. In 1965 Radio Prague was reorganised. The different sections were merged into three new departments: a department for broadcasts to capitalist countries, a department for broadcasts to developing countries and a central programme department. The central department absorbed the sections which had been responsible for the central production of raw news material (news and comment) in Czech. These texts were then translated into the different languages and formed the lion's share of the broadcasts. Alongside these "obligatory" programmes, the various language sections were given a limited amount of room to create their own programmes, especially features.